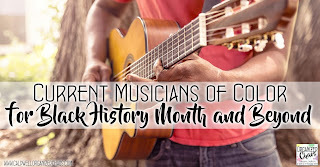 In celebration of Black History Month, I'm sharing more current musicians of color that I like to use in my classroom. 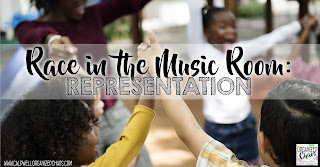 These are artists who are currently active and have school-appropriate music- in fact many of these artists have created music specifically for the classroom. 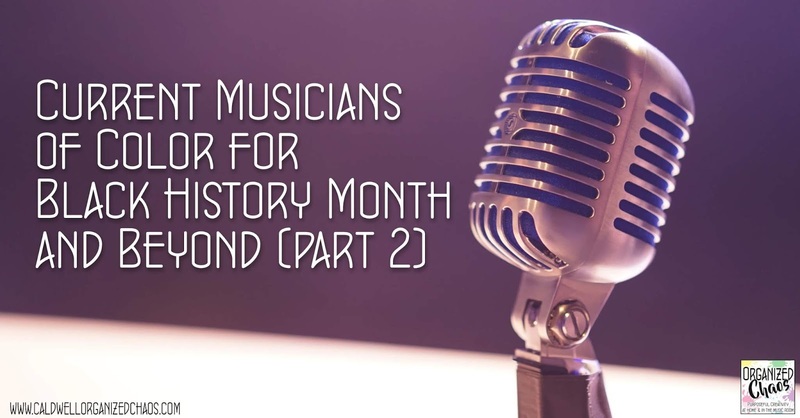 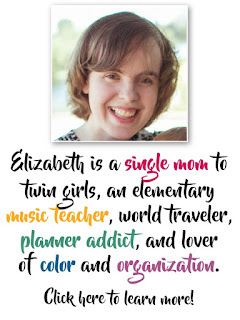 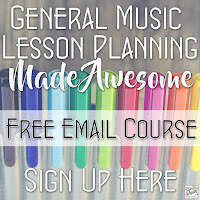 These are also lesser-known artists who you may not have heard of before- I hope you'll find a new song or artist to share with your students this month and all year long. My goal in including these songs and artists in my lessons is to provide students with more role models, and to "normalize" musicians of color. 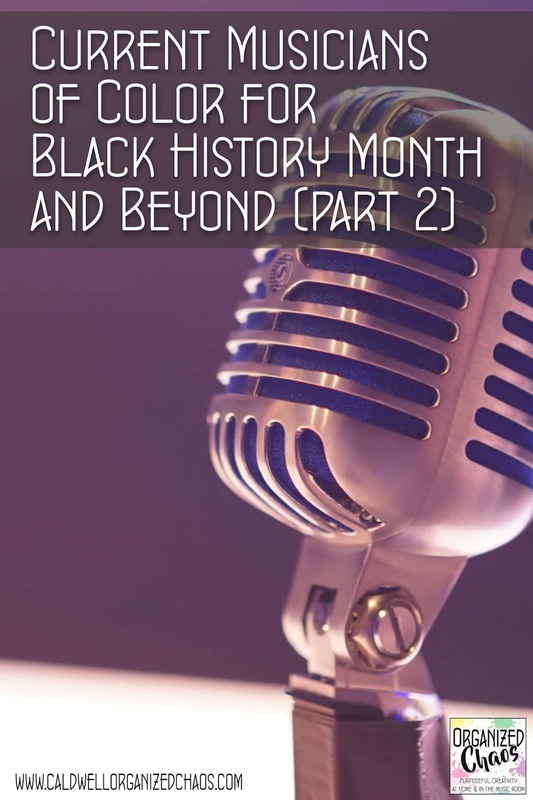 If the only time students see people of color represented in the classroom is in February, or only when you talk about Jazz or spirituals, it limits their understanding of the contributions people of color have made to the world of music, and the contributions that they themselves can make. 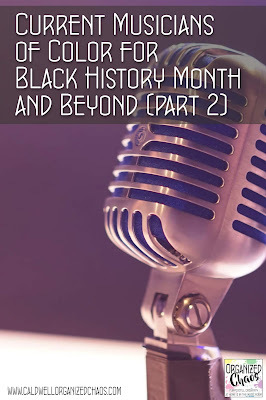 Although Black History Month is a great opportunity to focus our attention on better representing people of color in our classrooms, it's important for this not to be a one-month change but rather be the impetus for lasting improvement!